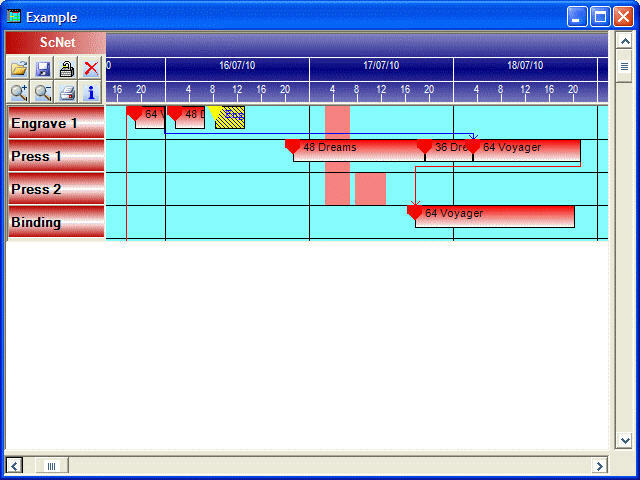 Scheduler Net Powerful .Net component with an amazing scheduling engine for any WinForms application (including but not limited to Visual Studio 2005/2008). It is a NET component for WinForms applications (including but not limited to Visual Studio 2005 and Visual Studio 2008). Over 85 properties, over 35 methods and over 15 events. Resource grouping management, tooltip personalization, different gantt behavior setting and much more. Extensive developer manual complete of all the available procedures . Complete sample application in Visual Studio 2008.